Out of the Octagon for 31 months following his 2016 win over Travis Browne, you might think that as Cain Velasquez got his body healthy and spent time with his wife and two kids, he might have lost his competitive edge leading into his Sunday return against Francis Ngannou. 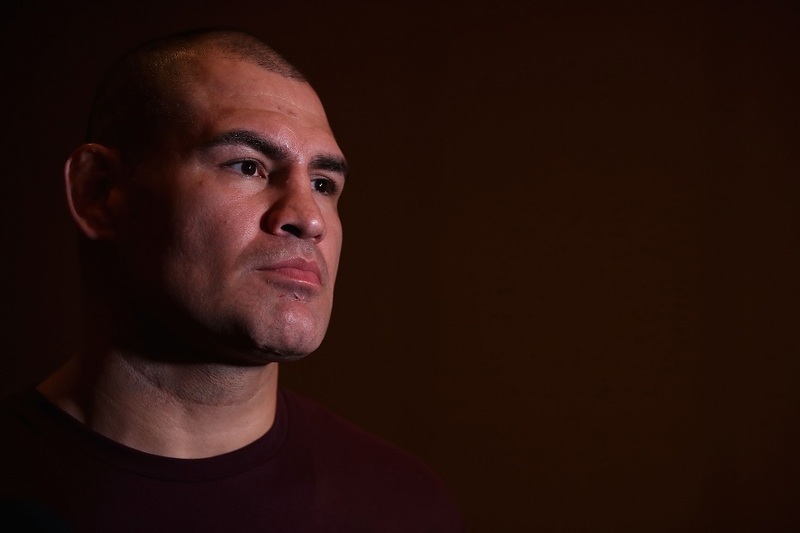 Come on, this is Cain Velasquez, two-time UFC heavyweight champion and one of those guys who even has to win a game of checkers at all costs. So as he speaks of his time off, he mentions his stint as coach of his daughter Coral’s soccer team and happens to throw in a mic dropper. “Two seasons undefeated,” said Velasquez, showing that maybe when this MMA thing is done, he can coach a little soccer. But this MMA thing isn’t over yet. Not by a long shot. But after he beat Browne at UFC 200 and a brief break turned into one that lasted over two and a half years, he embraced his time away. It’s even rarer that someone coming off a big win and in prime form does it. But Velasquez has never fit the prizefighter stereotype. That’s what made him special when he was wrecking the likes of Ben Rothwell, Minotauro Nogueira, Brock Lesnar, Bigfoot Silva and Junior Dos Santos, and if you called him the greatest heavyweight in UFC history, despite losses to Dos Santos and Fabricio Werdum, you would get few dissenters. But now there are questions. Did Stipe Miocic take that mantle as the best ever from him? Can he regain his past form? And the biggest and most pressing question – can he take the thunder Ngannou will be throwing, and if he loses, where does that put him in the division? Velasquez only thinks winning, though, so he’s unconcerned with anything that doesn’t involve getting his hand raised in Phoenix this weekend. In other words, it’s as if the layoff never happened. He beat Travis Browne convincingly and now he plans on doing the same thing to Ngannou. That confidence doesn’t equate to recklessness, though, because being reckless with Ngannou usually ends up with a fighter staring up at the lights wondering what truck just hit him. Yeah, guys like Velasquez don’t want gimmes. And even though the division has changed dramatically since he was last in the Octagon, Velasquez isn’t concerned. Remember, if you’re the best ever – whether in your mind or in everyone else’s mind - anything less than that doesn’t intimidate you.